The International Shark Attack File is a compilation of all known shark attacks that is administered by the Florida Museum of Natural History and the American Elasmobranch Society, a professional organization comprised of international workers studying sharks, skates and rays. 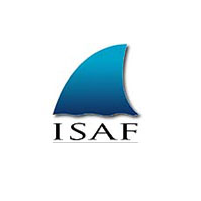 ISAF’s roots go back 60 years. The many documented shark attacks on U.S. Navy servicemen during World War II, and Navy personnel’s far greater risk of attack led the Office of Naval Research to fund the development of an effective shark repellent in early 1958. Later that year, when the first participants on the project met in New Orleans, it became clear that more basic research was required before they had a realistic shot to develop the repellent the Navy was looking for. Thus, a working group of shark researchers was formalized as The Shark Research Panel. The group was chaired by Perry W. Gilbert and its membership included Sidney R. Galler, John R. Olive, Leonard P. Schultz, Stewart Springer and, later, Albert L. Tester and H. David Baldridge. The Shark Research Panel started The Shark Attack File with the goal of comprehensively documenting attacks on a global, historical basis. The Shark Attack File made its home at the Smithsonian Institution under the supervision of Schultz while a similar, smaller file was maintained by Gilbert at Cornell University. Integrating data on all historical shark attacks began early on, as did outreach efforts to build a network of reporters to document new attacks as they occurred. Gilbert was also able to secure institutional funding that provided access to news clipping services, which worked as a serviceable tip off for new attacks. This era also saw the Panel create a two-page reporting form and distribute it to File cooperators, leading the nascent database to bloom past the 1,000 attack mark in short order. The first attempt to synthesize the File’s data was made by Schultz in 1963. His analysis, Attacks by sharks as related to activities of man, and accompanying appendix, A list of shark attacks for the world (coauthored by Marilyn H. Malin), appeared in Sharks and Survival, the first of two Gilbert-edited volumes emanating from the Navy’s support of shark research. Schultz realized, however, that such manual analyses were far too time consuming and that more sophisticated methods were required. In 1967 the Panel agreed that a computerized statistical analysis was needed and, with U.S. Navy funding, Baldridge produced his classic 1974 analysis entitled Shark attack: a program of data reduction and analysis. Naval support of the File ended in 1968 and efforts by Baldridge and Gilbert to secure support from traditional funding sources were unsuccessful, leading to the File’s eventual transfer from the Mote Marine Laboratory, where it had been sent for Baldridge’s analyses, to the University of Rhode Island. The File was transferred to the FLMNH in 1988 where, under the auspices of the AES, it is now curated. ISAF archives all hard copy documentation on attacks, including original notes, press clippings, photographs, audio/video tapes, and medical/autopsy reports. The File receives enthusiastic support from members of the American Elasmobranch Society, an international organization of scientists actively engaged in the studies of sharks, skates, rays and chimaeras, and continues to document attack records from the somewhat incomplete 1968-1988 period as well as investigate new ones. After decades of data collection, there are now more than 6,000 individual investigations in the File spanning from the mid-16th century to today, and much of that data came in through the voluntary submissions of numerous cooperating scientists across the globe who operate as regional observers. Through the cooperation of the organization’s many worldwide members the File is now growing greatly, with large databases from Australia, California, Hawaii and South Africa added or soon to be integrated into the system. Baldridge’s reduced data, formerly stored on long-lost computer punch cards, were made available to the File and have been transferred from a computer print-out into a Microsoft Access relational database. We welcome the unsolicited documentation of any attack from all time periods. Newly acquired data will be added as it appears, and periodic analyses of the data base will be performed to determine trends in local and worldwide attacks. We currently are working on a revision of Baldridge’s synthetic analysis of worldwide attacks. The data base is also made available to qualified biologists and physicians who wish to address specific questions regarding shark attack. Since the File contains much information that is considered privileged, such as medical reports, autopsies, and personal interviews, access is carefully guarded by ISAF shark researchers who must approve each request on a case-by-case basis. Inquiries from the media and general public are answered by the ISAF staff, but actual access to the files is otherwise limited to scientists.